For the first time a frequency reference based on molecular iodine was successfully demonstrated in space! What sounds a bit like science fiction is an important step towards laser interferometric distance measurements between satellites as well as for future global navigation satellite systems based on optical technologies. The frequency reference tests were carried out on 13 May on board the sounding rocket TEXUS54. The centerpiece of the payload, a compact laser system, which was primarily developed by HU Berlin and the Ferdinand-Braun-Institut, demonstrated its suitability for space. In the JOKARUS experiment (German acronym for iodine comb resonator under weightlessness), an active optical frequency reference based on molecular iodine was qualified for the first time in space. 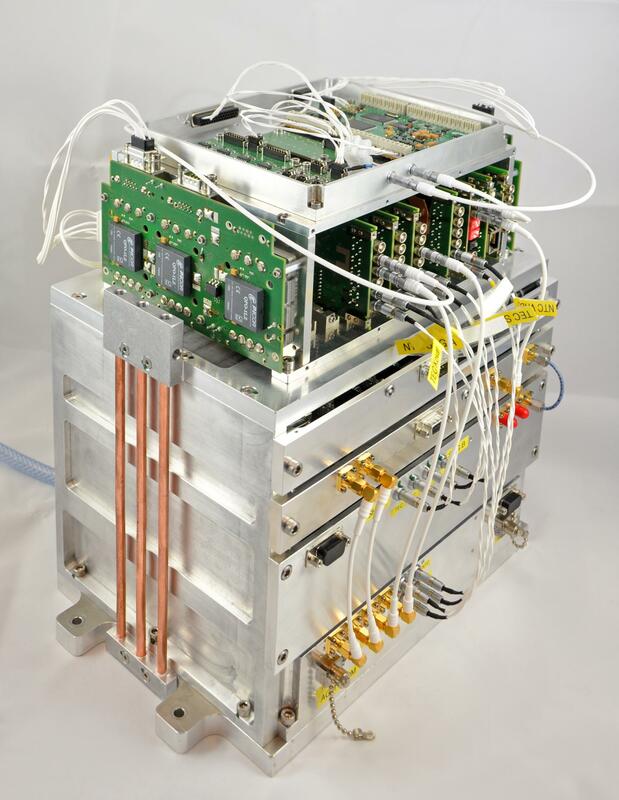 The results are an important milestone towards using optical clocks in space. Such clocks are required, inter alia, for satellite-based navigation systems that provide data for accurate positioning. They are equally important for fundamental physics research, such as the detection of gravitational waves and measurements of the gravitational field of the Earth. The experiment demonstrated the fully automated frequency stabilization of a frequency-doubled 1064 nm extended cavity diode laser (ECDL) on a molecular transition in iodine. Thanks to integrated software and algorithms, the laser system worked completely independently. For the sake of comparison, a frequency measurement with an optical frequency comb in the separate FOKUS II experiment was carried out during the same space flight. The JOKARUS payload was developed and implemented under the direction of the Humboldt-Universität zu Berlin (HU Berlin) as part of the Joint Lab Laser Metrology. The lab, which is collectively operated by Ferdinand-Braun-Institut (FBH) and HU Berlin, combines the know-how of both institutions in the field of diode laser systems for space applications. A quasi-monolithic spectroscopy module was provided by the University of Bremen, the operating electronics came from Menlo Systems. Centerpiece of the laser system is a micro-integrated ECDL MOPA that was developed and implemented by the FBH, with an ECDL acting as local oscillator (master oscillator, MO) and a ridge waveguide semiconductor amplifier as power amplifier (PA). The 1064 nm diode laser module is completely encapsulated in a 125 x 75 x 22.5 mm small package and delivers an optical power of 570 mW within the linewidth of the free-running laser of 26 kHz (FWHM, 1 ms measurement time). By means of a polarization-maintaining, optical single-mode fiber, the laser light is first divided into two paths, modulated, frequency-doubled and processed for Doppler-free saturation spectroscopy. Technology developments within JOKARUS are funded by the German Aerospace Center (DLR) and build on the earlier FOKUS, FOKUS reflight, KALEXUS and MAIUS missions.